James Kentoshi Norris has studied martial arts for over thirty years and is one of the senior most students of martial arts legend Stephen K. Hayes. James Norris moved to Ohio in 1995 to be closer to his teacher and mentor. Already a black belt in Shudokan Karatedo, Kentoshi Norris wanted to further explore the ninja martial arts he had been studying with An-shu Hayes at workshops and seminars. Not only has he been a personal student of An-shu Hayes for over two decades, he spent over ten years as head instructor of the Hombu Dojo in Dayton, Ohio. Now Kentoshi Norris is a member of the Shihan Kai Board of Directors and dedicates himself to growing To-Shin Do and the ninja martial arts not just in Ohio, but all over the world through workshops, seminars, videos, and online private lessons. 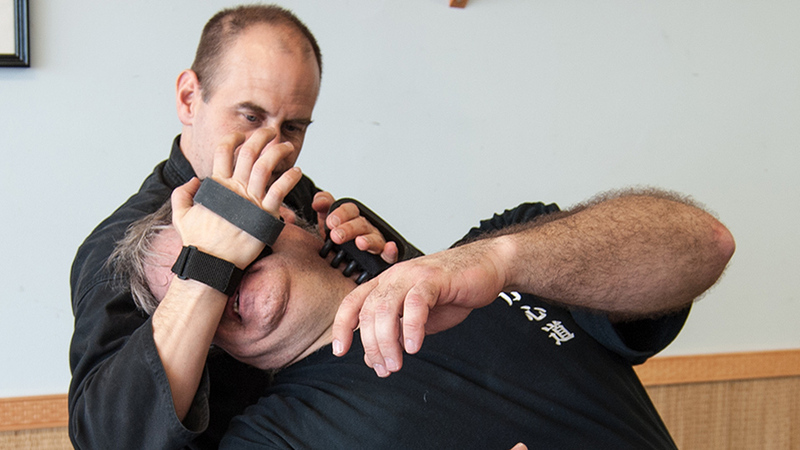 He and his wife founded Situation Handled, a comprehensive self-defense and self-empowerment program that incorporates To-Shin Do martial arts, wilderness survival skills, and preparedness tactics.